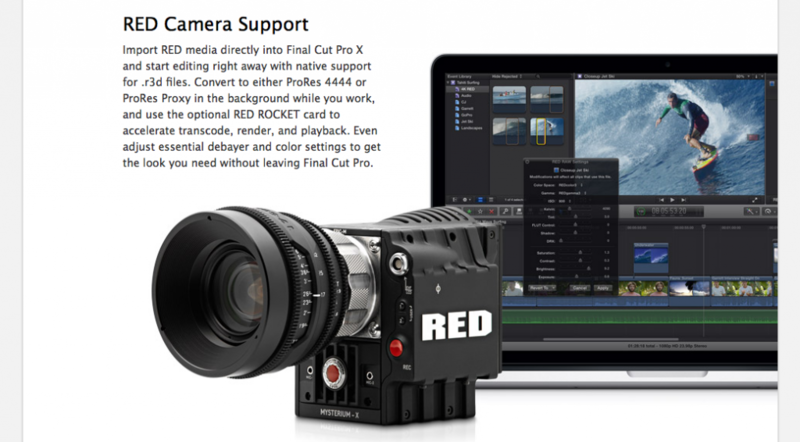 Apple announces the support of REDs r3d format and the RED ROCKET card by Final Cut Pro X. Finally it happened. According to a press release by MOTU, they will ally with Apple and Intel to work closely together concerning the development of audio and video products that support the Thunderbolt I/O. MOTU, a leading developer of video and audio I/O products, announced today that it is working closely with Apple and Intel to develop future products that take full advantage of Thunderbolt™, the new, very high-bandwidth, low-latency connectivity standard developed by Intel® and deployed by Apple® to worldwide markets on their latest generation MacBook Pro laptop computers. frameforest.com published a handy guide, which explains, how to prepare your material right and set up your Final Cut Pro project to edit it.